The joint venture between Eni and Rosneft in the Barents Sea remains intact, the company leaders underline. Relations between Rosneft and Eni were high on the agenda in this week’s top meeting between President Vladimir Putin and Italian Prime Minister Paolo Gentiloni. On the sideline, the two countries’ top oilmen, Rosneft’s Igor Sechin and Eni’s Claudio Descalzi discussed a follow-up of their comprehensive cooperation agreement from 2012. «The meeting consolidated previous agreements for the joint development of exploration activities in the Russian Barents Sea and Black Sea, and will underpin further opportunities between the two Groups, » Eni informs in a press release. According to Rosneft, the two companies agree to move ahead with planned exploration drilling in the Black Sea and the Barents Sea. The two companies signed an agreement which states that cooperation will be extended in the field of exploration and production, refining, trading, logistics and marketing, petrochemicals and technology and innovation sectors. The talks and updated agreement between the oilmen come after Rosneft earlier this year confirmed that a joint well will be drilled in the Russian part of the Barents Sea in 2018. «This year, after the Khatanga area, we will drill in the Black Sea, then in 2018 - in the Barents Sea, and in 2019 we will return to the Kara Sea oil and gas province and also continue our work in the East Arctic», Igor Sechin told Vladimir Putin. 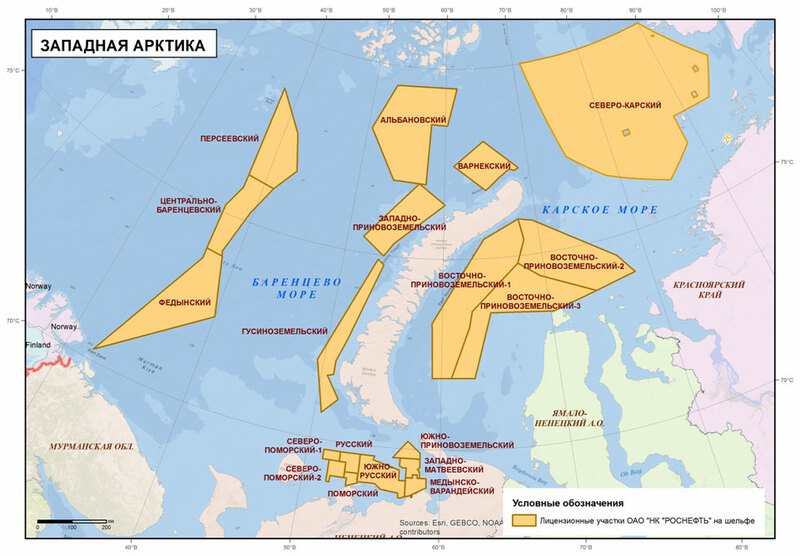 It is likely that the site of the Barents Sea drilling will be the Fedynsky area, a license operated by Rosneft in cooperation with Italian company Eni. The Fedynsky license area is located directly along the maritime border to Norway. It covers an area of 38,000 square kilometers and has a preliminary resource potential estimated to 18,7 billion barrels of oil equivalents, Rosneft says on its website. According to the license agreement, one exploration well is to be conducted by year 2020. Expenses for the operation will be covered by Eni, which entered into the agreement in 2012.